The snow and rain in Jammu and Kashmir are likely to continue till Tuesday, the weather office said. Authorities have set up helpline numbers for people to approach in case of emergencies in different districts of the valley. Bringing an end to two months of dry spell, Jammu and Kashmir on Monday witnessed heavy snowfall coupled with moderate rains lashing parts of the state. All flights to and fro Kashmir were cancelled because of the bad weather. The snowfall also snapped Kashmir’s link with the country as the arterial Jammu-Srinagar National Highway was closed due to slippery road conditions. The snow and rain are likely to continue till Tuesday, the weather office said. Low visibility and heavy snow also led to traffic snarls on major roads. 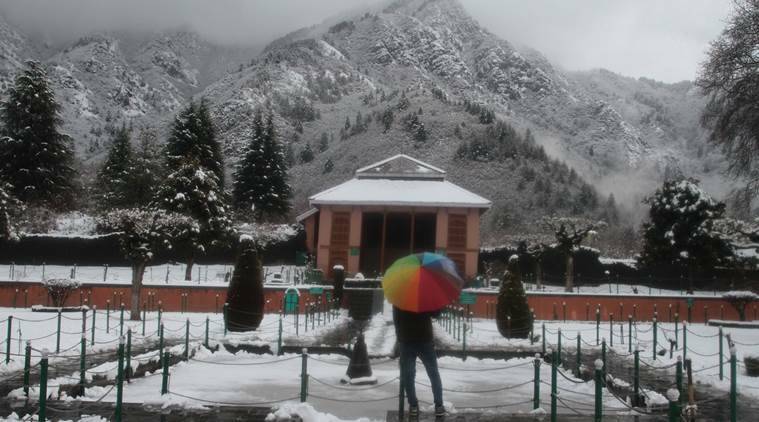 The minimum temperature was zero in Srinagar while it was minus 0.1 in Pahalgam and minus 4.6 in Gulmarg. Kargil was the coldest at minus 14. Authorities have set up helpline numbers for people to approach in case of emergencies in different districts of the valley. The change in weather was due to an active western disturbance originating over central parts of Afghanistan. Heavy snow was also recorded in parts of Himachal Pradesh. Life was thrown out of gear for office-goers and students in Shimla as the heavy snowfall made it difficult to venture out. Popular tourist hotspots like US Club and Rich mount received moderate snowfall, while the Met office reported that Jakhu Hill was covered by 3 to 4 cms of snow. 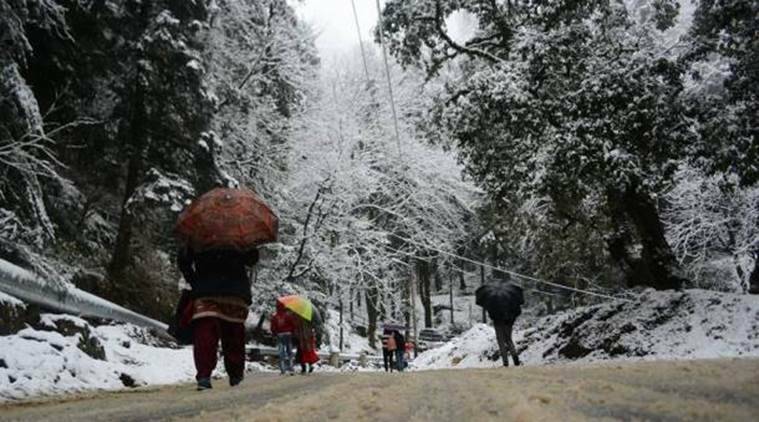 Shimla recorded a minimum temperature of 1.1 degrees Celsius, while it was minus one degree in Kalpa in Kinnaur district. Lower areas of the state like Dharamsala, Palampur, Solan, Nahan, Bilaspur, Una, Hamirpur and Mandi towns of Himachal Pradesh received rain, bringing down the temperature considerably. A cold wave also gripped Chandigarh and its surrounding areas. Heavy rains lashed in Chandigarh, Hisar, Amritsar, Pathankot and Bathinda. Meanwhile, Delhi also witnessed a cloudy morning. The minimum temperature was recorded at 13 degrees Celsius, three notches above the season’s average. At least 12 trains were cancelled, 13 delayed and four rescheduled due to fog in some parts of northern India, according to the Northern Railway. On Sunday, parts of Madhya Pradesh, Uttar Pradesh, Chhattisgarh and Vidarbha experienced heavy rainfall accompanied by a hailstorm. According to reports, a farmer was killed in the hailstorm, while many were injured in Maharashtra.